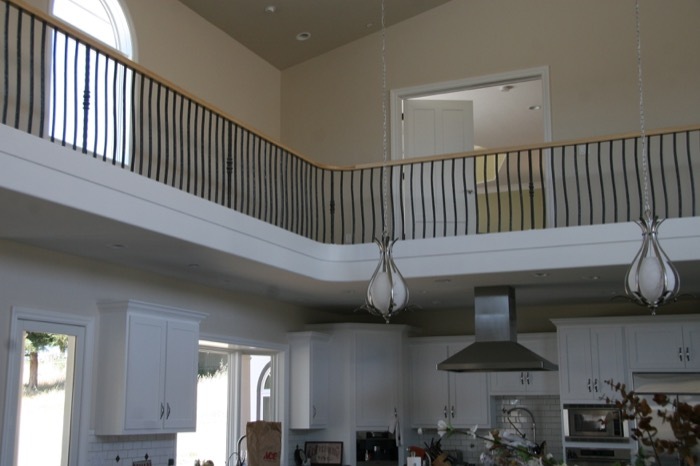 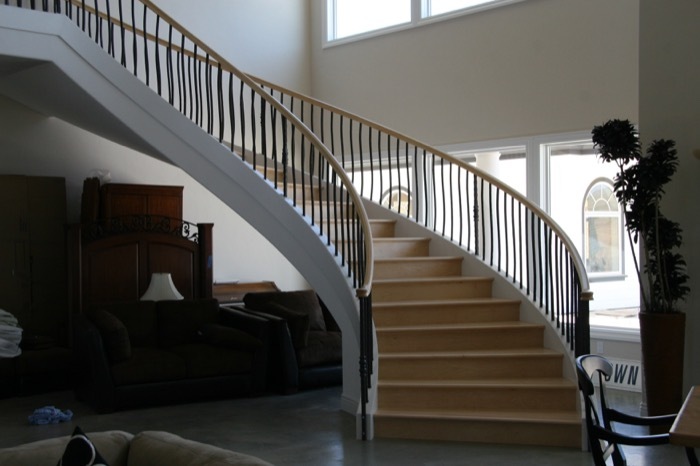 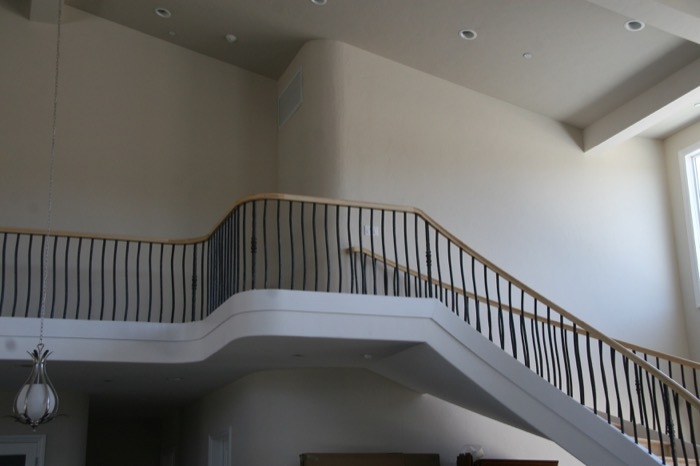 Our team of experienced stair and handrail installers knows that a finely crafted stair embodies the highest art of the building industry and they take pride in proving their skills on every project. 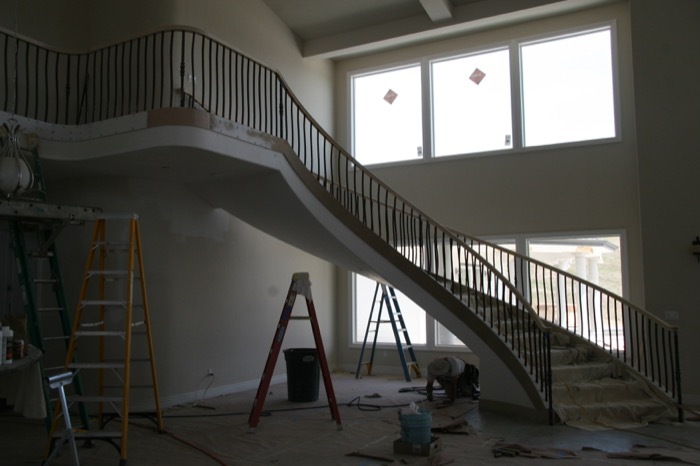 From small remodels to elaborate custom staircases, you can rest assured that every detail will be well thought out and finely attended to. 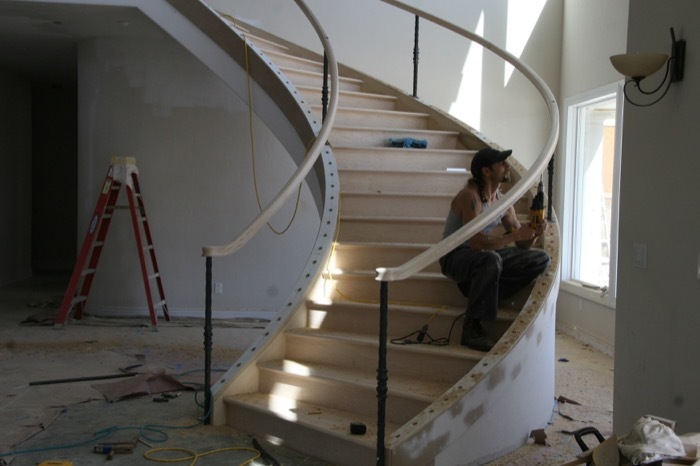 Our woodworkers are equipped with the latest tools and are trained in a wide variety of wood working techniques as stair construction combines standard carpentry skills with those of the master furniture builder. 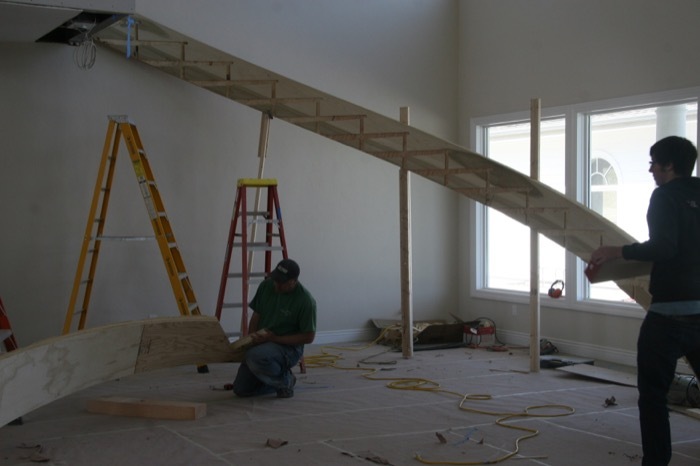 A complete understanding of the building trades is required from the foundations to the finish and all of our installers are well versed in these areas. 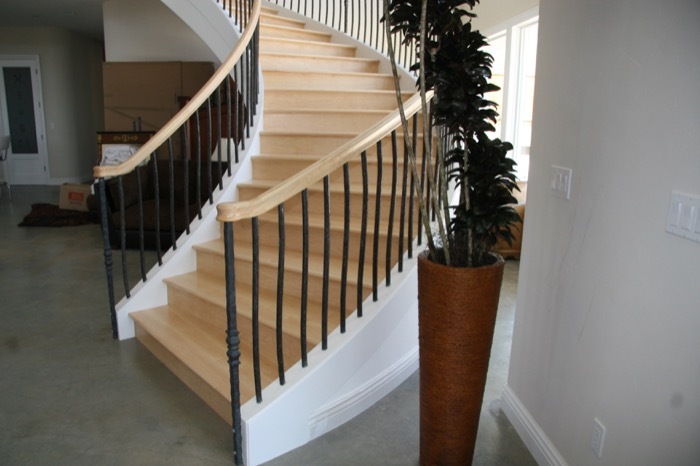 After all a staircase makes a statement like a piece of fine furniture but at the same time it is a functional and essential element of any home or office. 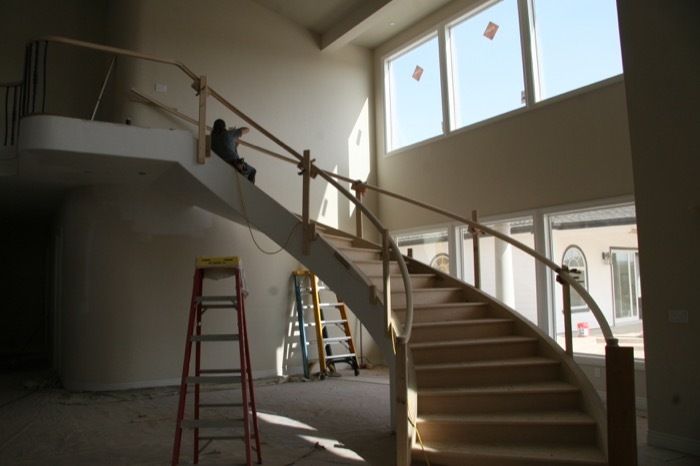 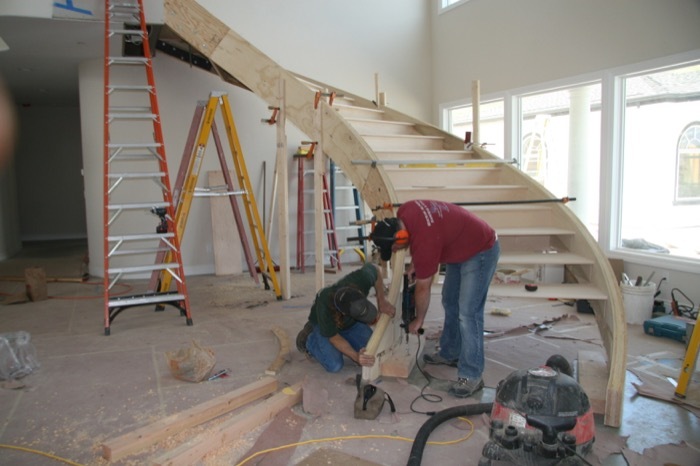 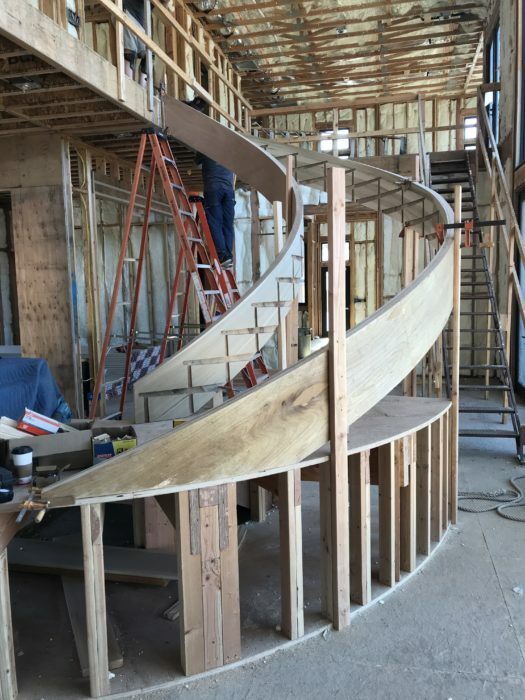 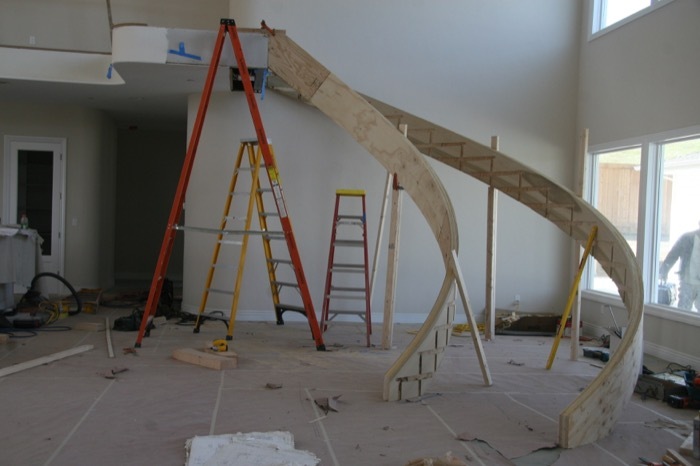 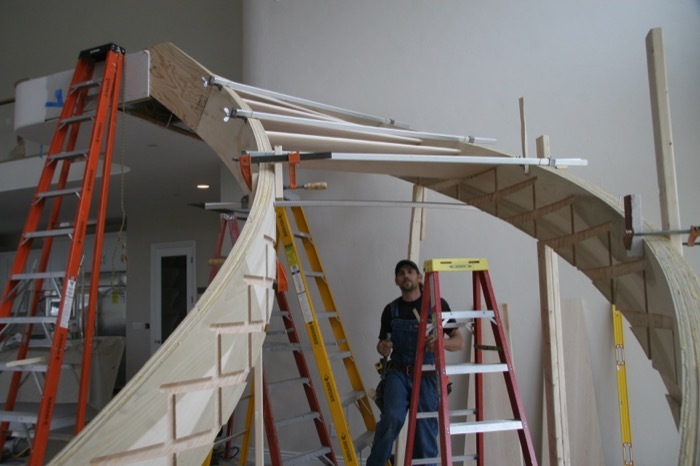 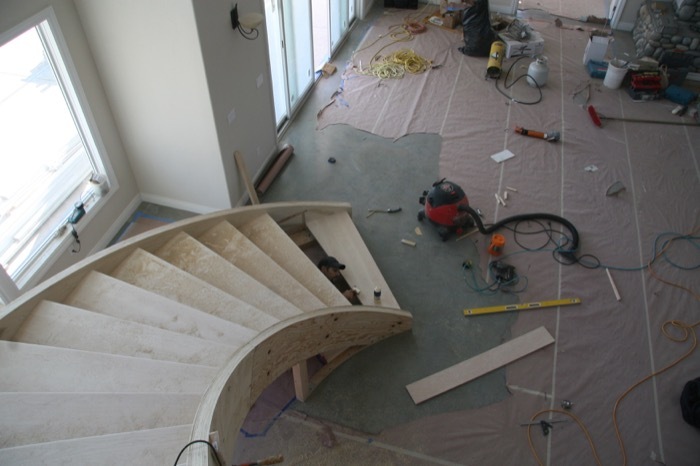 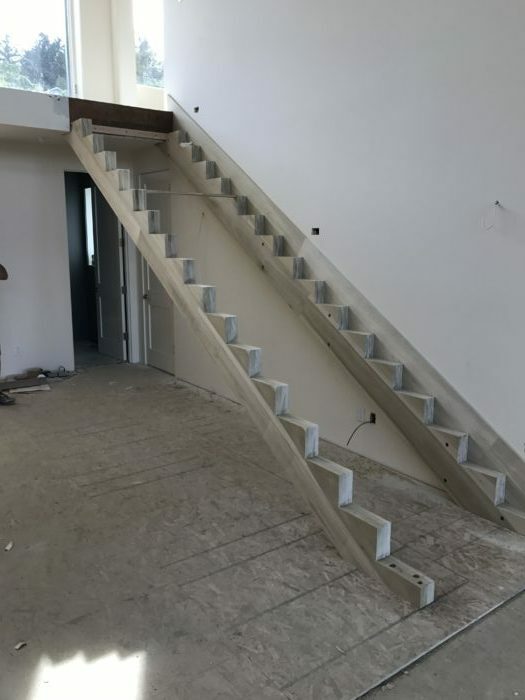 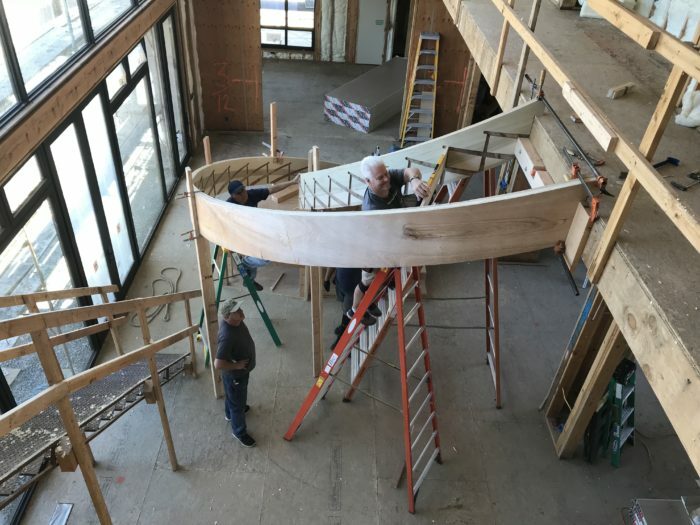 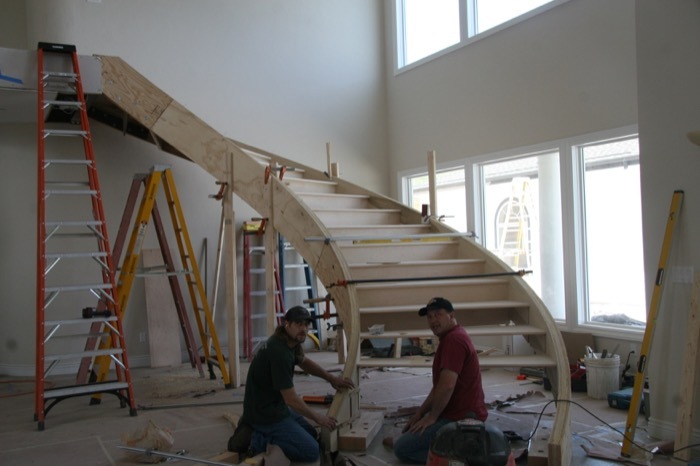 Below is a pictorial progression of a typical curved stair installation utilizing one of the more common types of wedge and glue stair assemblies.